There’s no doubt that the Apple Watch was one of the most expected devices from the Cupertino-based company’s history, but it’s already been on the market for a few months, so it’s time to start thinking about the second generation of the wearable, currently known as Apple Watch 2. Value Walk reveals that a new patent has emerged recently and it could give us a few details about one of the most interesting features that we could see in the next iteration of the smartwatch. We’re talking bout an upgraded strap, which is rumored to have a more pronounced focus on functionality. The new tech has been submitted by Apple to the U.S. Patent and Trademark Office. 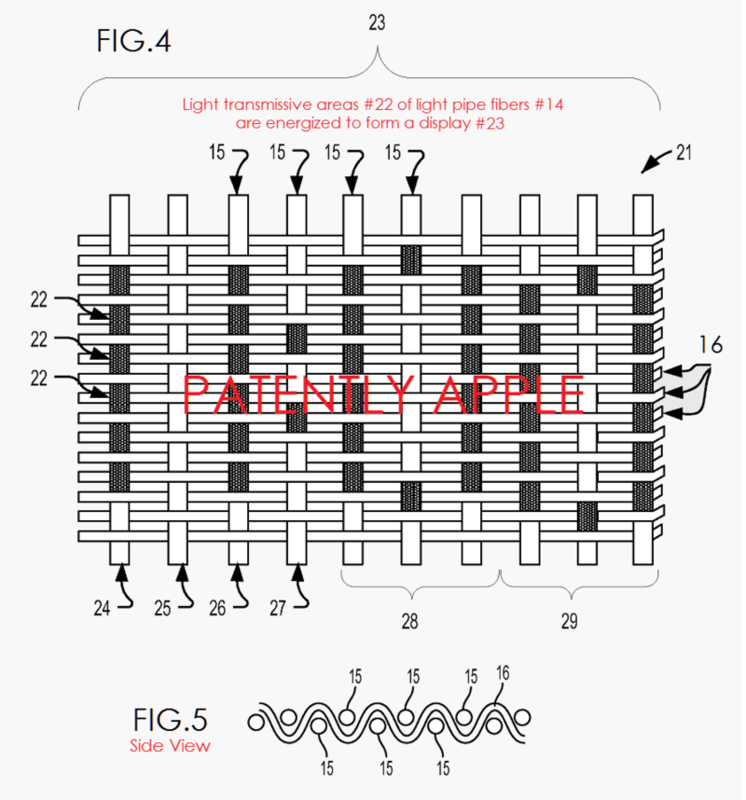 Even though the details aren’t pretty clear, the bracelent will be made of light-transmissive fibres weaved into fabric. Therefore, the Apple Watch 2 will be able to use the band in order to display the time or even show notifications, when the battery is low. In order to make this clearer, just imagine a system able to do what the dual-screened YotaPhone 2, with a secondary e-ink display, can. When the battery is too low, you can use the secondary panel to display vital information, like the time or a map, for example. But this is not everything, as this technology could be used with even more devices, not just the Apple Watch 2. Value Walk mentions that other Apple devices, like iPads or iPods, might be utilized with this strap. Also, the woven fabric could be presented as an additional notification display, supplied with the MacBook range. The Apple Watch 2 could be released somewhere in Q2 2016. If the latest rumors are to be believed, Apple will present the 4″ iPhone 6c in the first months of the year, while the smartwatch could be introduced in March, ahead of an April release.